As you all know, we had great success in our 2nd annual Patriot Golf Day marathon event benefiting the Folds of Honor foundation last year. 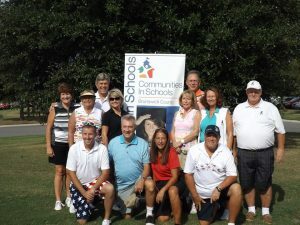 Myself and the Myrtle Beach PGA Patriots played 200 holes in two days to raise just over $32,000 for this great cause. This year we decided to let everyone else join in on the fun. We are taking over Labor Day weekend. 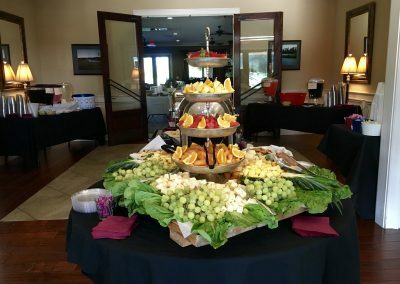 Starting Friday, September 2, Crow Creek will host a dinner gala for our tournament round on Saturday, which will be hosted by the Pearl Golf Links. Sunday, the Patriots and I will tee off for our traditional 100 hole marathon at Rivers Edge Golf Club. We are asking for your support once again. All of you make this event possible and we are honored to participate. Please check out patriotgolfdaychallenge.com. We know we can count on your support and we hope to see you all Labor Day weekend cheering us on. God Bless the USA! 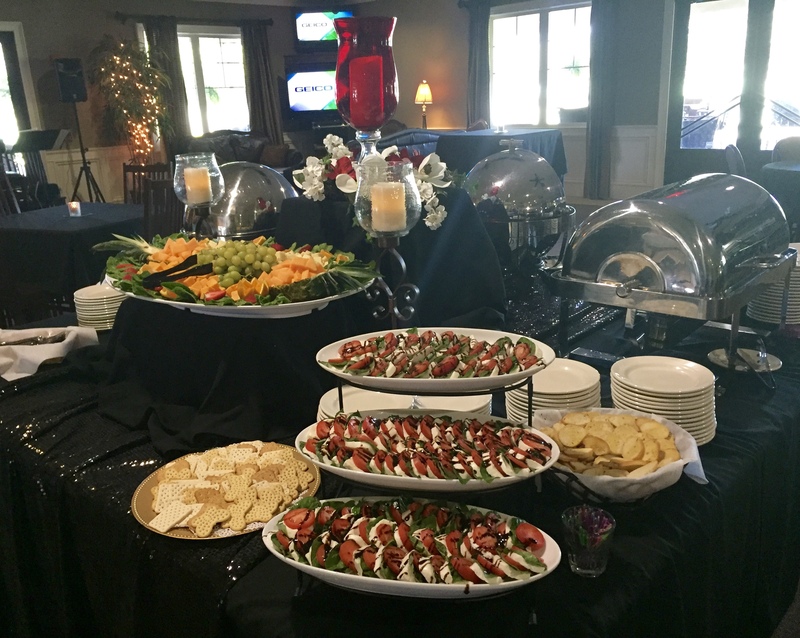 Crow Creek’s Restaurant would like to thank all our guests for a great July! 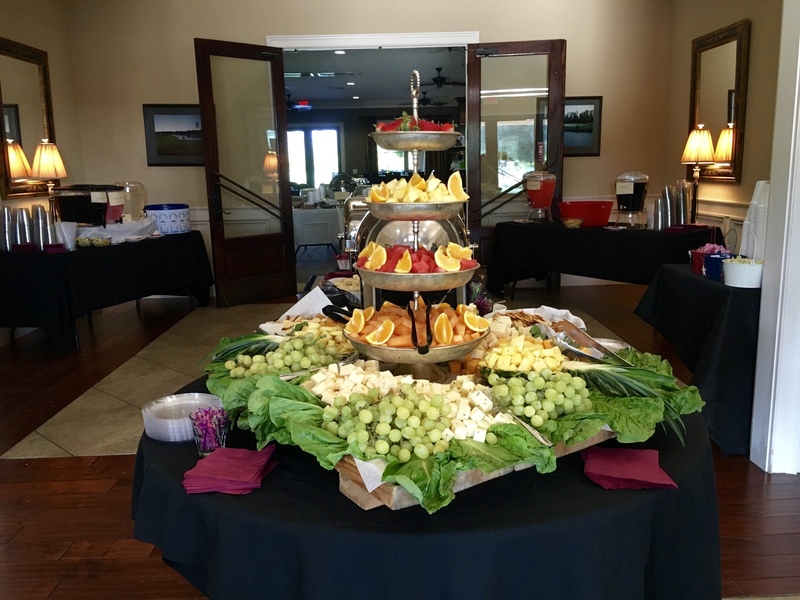 Along with hosting a variety of events, this July brought waves of new and returning guests for breakfast and lunch! 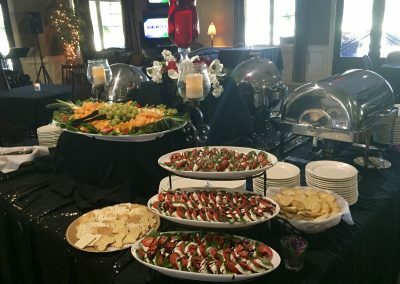 The word is definitely getting out about the great food and service causing the event schedule for the fall and winter to fill up fast. Schedule your event with restaurant manager Elizabeth Dominguez soon to make sure you get the date you want! Check out the photos below from some of the events hosted in July. Click Here to Contact the Restaurant & Make Your Reservations! 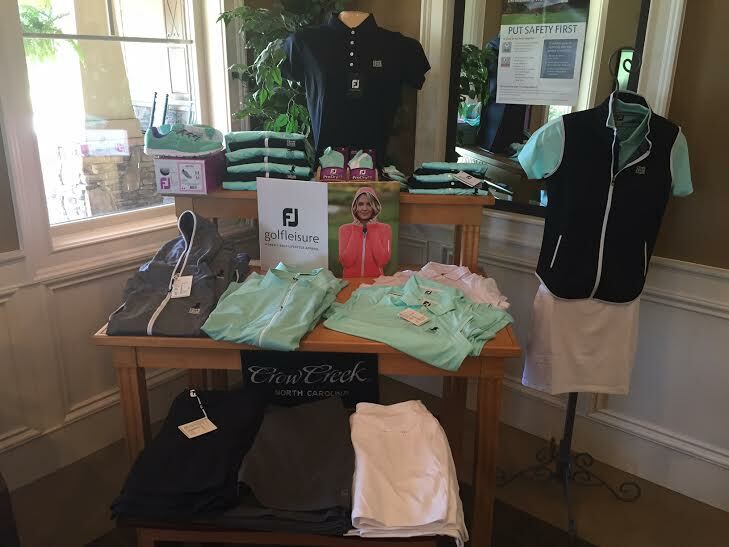 Footjoy has made a strong push this year, particularly in ladies apparel. 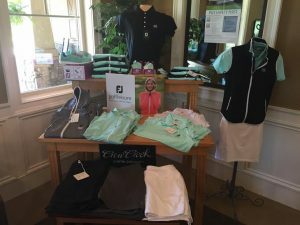 A big effort was made to develop a line that was good on the golf course and a day around town. Be sure to check out the bright and vibrant colors of the ladies rain gear. Yes that’s right, ladies rainwear. We are very excited to offer a high quality product that the men have enjoyed for years but now caters to our more fashion forward ladies. The CIS organization serves as a bridge between schools and businesses, identifying and utilizing local resources to provide mentoring, tutoring, and summer/after-school programs. 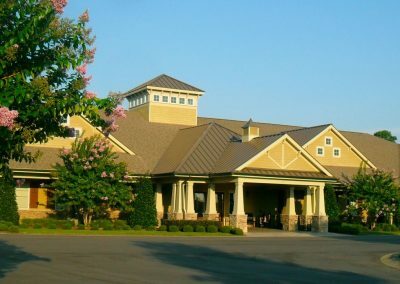 The tournament will be on August 27th – 10am shotgun start. 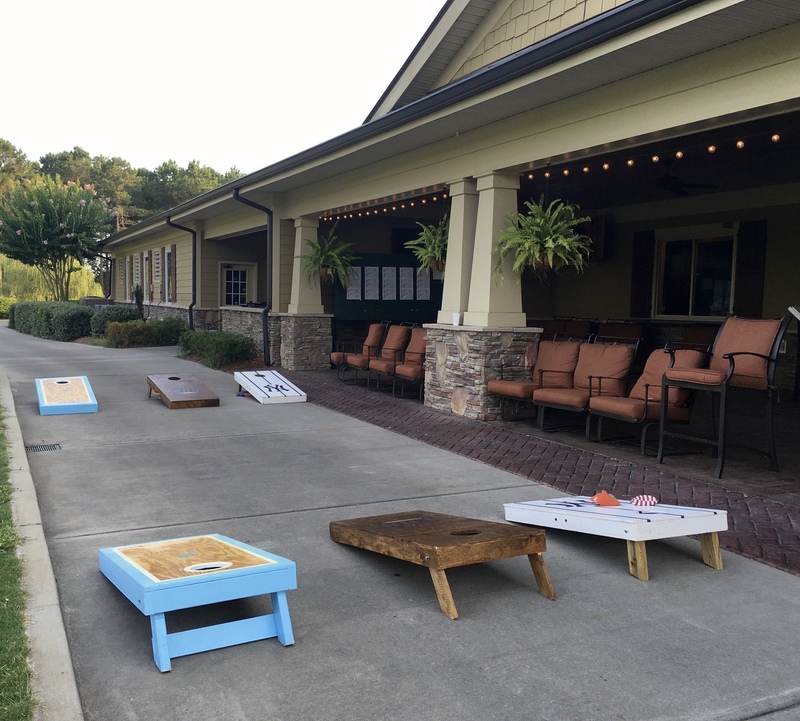 The event will have a vast selection of prizes, raffle items, and even a beat the pro contest. 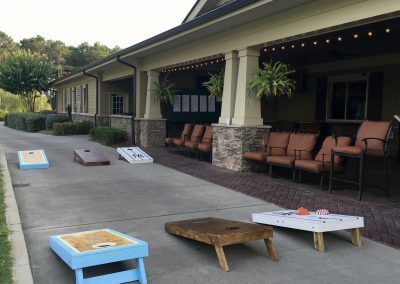 This is the number one charity event held at Crow Creek. Over the last two years, more than $40,000 has been raised. Be sure to sign up fast as spots fill up quickly. Contact Dorine Stoecker at adstoecker@atmc.net for more information. Click here to read the Crow Creek Real Estate August Newsletter!